January 12th might have been John Hancock’s birthday, but we really aren’t sure. Either way here is your birthday gift from me to you in honor of John Hancock and Handwriting Analysis week starting on the 23rd… his other birthday . His birthday is one of those funny American mysteries where we really don’t know. Some books say today, January 12th is his birthday, while others reference January 23rd as the big moment of arrival. Somebody’s birth certificate clearly got lost. Because handwriting experts and pen companies have been getting great publicity around National Handwriting Week the last decade around the day of Jan 23rd… we want to believe it is the 23rd, otherwise we have to change an entire week. And, what trouble that would cause for Hallmark and all the cards they must sell for this special week (satire). 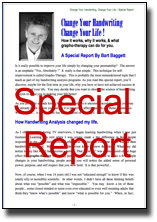 What’s the gift, It’s too small to be considered a full book, too large to be considered an article, so we will call it a Special Report: Graphotherapy- How changing your writing can change your life. A 24 page pdf file written by me, Bart Baggett on the topic of how you, kids, and anyone can use the simple technique of changing your handwriting to change your life. For anyone who has been waiting to get certified, now is your chance. We have our complete 5 level Certification course on special until Jan 30th. Or, if you are already enrolled get the LEVEL 5 Advanced Course. pricing if you already own any part of the home study course or you have any questions before ordering. As seen on National TV shows : CNN, Court TV, Banfield & Ford, Leeza, |CNBC, Fox News Network, and more! 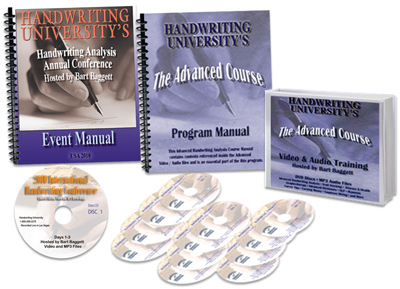 We have certified handwriting experts in over 17 countries through our home study courses. Are you next?